If you haven't heard the news, Dan and I are moving to Austin, TX! But, in the meantime, I've been taking trips back and forth to Austin to scout out potential homes and get a feel for Austin culture, and of course food! My friends have been raving about one place in particular: Juliet Italian Kitchen. I've always loved Italian cuisine, especially after visiting Italy on numerous occasions and even taking a two week trip throughout Italy! To this day, Italian food remains one of my favorites. And goodness, Juliet did not disappoint. I ordered the grilled octopus as an appetizer for the table (but truly, it could easily be an entree), and it was pretty freaking amazing. Ashley ordered the olives for the table, and I will definitely be getting those every time. We also got calamari for the table, and though I've had calamari plenty of times, the lemon slices in this appetizer were just delicious. I ordered two cocktails: the Italian Sunrise and the Americano, and Ashley and Morgan ordered the Aperol Spritz. Caleb ordered the Italian Mule and that was great, too! For my entree, I ordered the Cioppino, Morgan and Caleb ordered the Veal Marsala, and Ashley ordered the Chicken Saltibocca. It was such a fun dinner and drinks! I will totally be going again! Even as I write this, I'm turning to Dan and telling him about how great it was, haha. 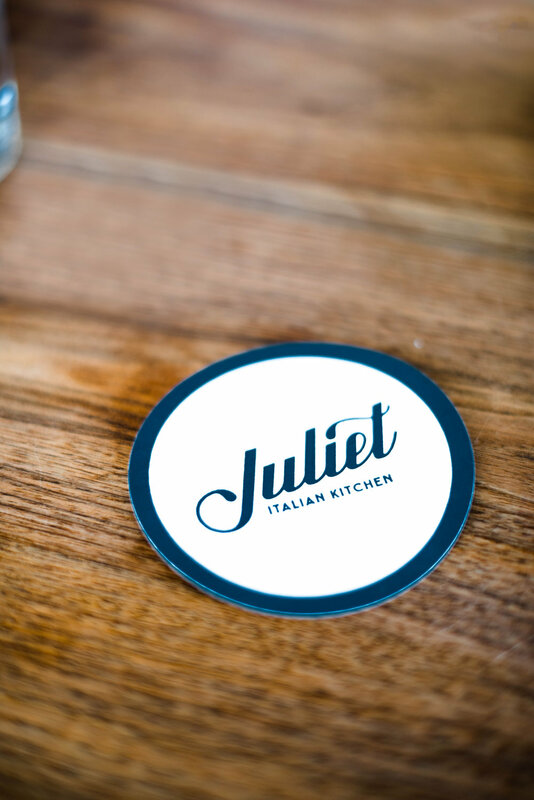 Reserve your table at Juliet here. Let me know what you guys try!